Work until your weaknesses become your strengths. Dumbbell workouts should be an essential part of every crossfitter’s training program. They are an excellent tool for uncovering weaknesses in strength, stability and mobility. 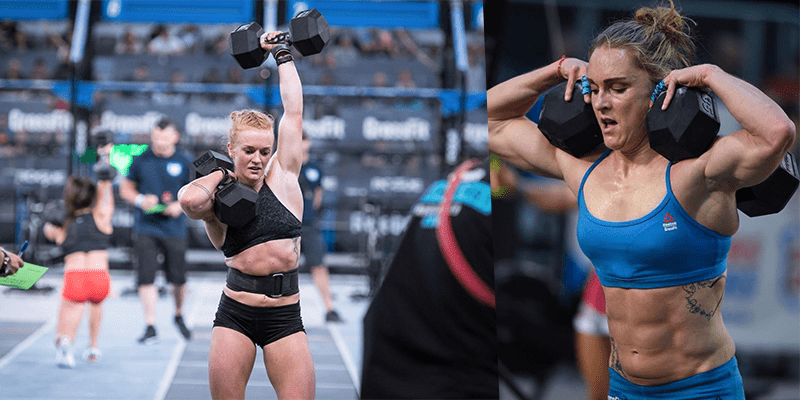 The 2017 CrossFit Open saw the return of dumbbells and Regionals from the same year featured them heavily, having no barbell exercises at all. This lecture from Greg Glassman demonstrates the importance of using dumbbells within Crossfit training. There is a strong emphasis on dumbbell workouts within Crossfit, so make sure to master these exercises now, as I’m sure you will start to find them more often in your own programming. CrossFit dumbbell workouts also allow you to train all the planes of movement that your body works through. This is tremendously important and will allow you to significantly improve your mobility and strength throughout a variety of different movements. Think about the exercises you do. Squats, thrusters, deadlifts, clean and jerks, pull-ups, handstand push-ups; in all these movements the weight is transferred up and down along a straight line. All these movements occur along the sagittal plane. The sagittal plane divides the body into two symmetrical halves – left and right. The plane that divides the body into front and back is called the coronal plane. Movements along this plane are sideways movements, such as lateral lunges. The final and most disregarded plane is the transverse plane, which divides the body into top and bottom halves. We move along this plane when we twist and turn our bodies, like when we look around before crossing the street. Transverse movements are predominant in sports such as tennis, golf, rugby and gymnastics, the movements of crossfit almost exclusively happen along the sagittal plane. Whether your goal is general fitness, functional strength, or athletic achievement, you should train along all planes.